Yes, the countdown starts once more! 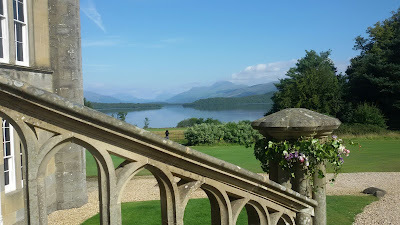 I've just come back from my summer holidays which, this year, have been more a case of escaping the summer as we went to the UK instead of the usual hot and humid destinations we normally go to. 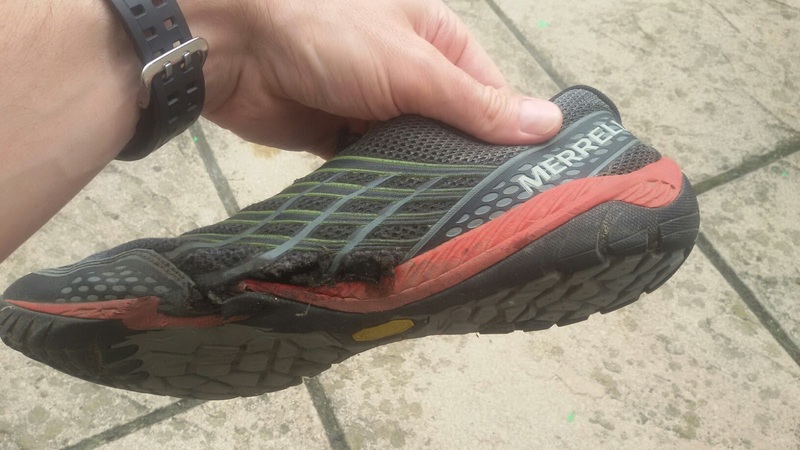 As a result, I was able to get back into the enjoyment of running outside in the real world. Not only have I been having motivational problems lately but I think I have been abusing the treadmill too much, to the point that I have become good at running on the treadmill and not so good at running outside. My new Garmin Fenix 2 watch has also helped regain some motivation as I was much more easily able to design routes along which to run while I was on holiday and "sync" them to the device via my phone (although, annoyingly, the button to "create a course" on the web page doesn't fit on my phone's browser). It has a feature which estimates your VO2Max based on your heart rate and your speed which is probably not terribly reliable, but it is somehow encouraging seeing it improve from 59 to 63 (and, at one point, 65) as I have felt myself improving. The recovery feature - which tells you how long you should wait before training hard again - is probably less useful as it failed to notice how tired I was after interval training. The first two weeks we spent in London, Wales and Scotland. My brother had moved house so I got to explore a whole new area of London that I did not know before, and that was surprisingly green and amenable to running. Amazingly, I managed to get up between 7 and 7:30 am every single day of the holiday and was back from my run before the rest of my family had finished breakfast. In Wales we had a complete disaster with a rental car which meant we were stranded for a couple of days in Gilwern - there are worse places to get stuck - so my first "rural" runs were around there. The most enjoyable ones, however, were in Scotland along country lanes around the Loch Lomond area which is just simply breathtaking. I ended up buying a new book by Richard Askwith (Running Free) which talks a lot about the benefits of running outdoors versus in gyms, as well as dealing with growing old gracefully and binning the stopwatch. The last week was back in England where we spent a couple of days in Cambridge - where I was born - and Oxford - where I went to university. The cycling we did in Cambridge doesn't really count toward my fitness goals as it was at a very leisurely pace to have afternoon tea in Grantchester, to where I used to go running with my friend, his bothers and his dad when I first started. But I did also do my interval training in Cambridge, just in front of the City of Cambridge boathouse where I learned to row. 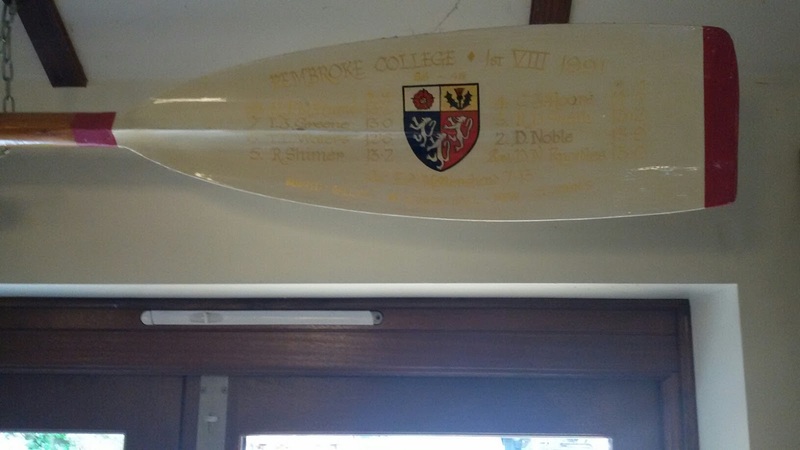 I was pleased to see that the oar that I won in Oxford was still hanging up in the Cambridge Blue pub, in pride of place. In Oxford, we punted (did punting?) and visited the track where Roger Banister broke the 4 minute mile and where I used to go almost every morning in my first year at university, to lift weights with the rowing crew. Roger Banister was the Master of my college and I got to meet him when I was struggling to keep up my academic and athletic work: he told me that they never had to train so many hours back in his day. We walked along the towpath to the City of Oxford boathouse where there still hangs a photo of me rowing at Henley in 1991, but unfortunately the clubhouse was closed so we were unable to see it. I rounded off the week with a long run (now back in London) to Tower Bridge and back and then ceremoniously threw my trainers away which had only just managed to last until the end of the holdays. Another running related casualty of the holidays was my beloved iPod Shuffle. I got through several of the first generation Shuffles, killing them softly with my sweat, but the newer ones seem much more resilient. London may be cooler than Madrid but it is also more humid and, during a particularly sweaty run, the Shuffle spluttered and gasped its last breath. I tried the old trick of leaving it to dry out in a glass of rice - which it did - but I think I managed to fry some of the components when I prematurely tried to charge it. I decided to buy a new, waterproofed one, from Underwater Audio although sweat is more pernicious even than water so I'll also try to clip it on the part of my clothing that least tends to get soaked. I realized that the blisters I was getting on my hands by the end of the holidays were actually from running. I should clarify this. We packed so lightly that the four of us were able to take 4 planes and visit 3 countries during 3 weeks with only hand luggage! If I had taken enough kit to cover the 19 runs I did during those 3 weeks then not only would we have had to put bags in the hold but we would probably have been charged excess baggage! So I took only 3 pairs of running socks, three shorts, two vests and a jacket just in case (which I only wore once): every time I went for a run I would hand wash my kit in the shower. I realized that the blisters on my hands were from wringing dry my running kit! So, all in all, it was a great holiday, quite nostalgic and a good chance to recharge my batteries, get back into shape and get motivated. Good mileage! Someone forwarded me an invitation to a conference in London in a couple of weeks where I saw you're speaking. I can't attend but fancy a run along the Thames one morning while you're here?